Published in Industry Updates on 05/15/2017 by Harry Lew, Chief Content Writer. According to a LIMRA projection made prior to the DOL Fiduciary Rule delay, total U.S. individual annuity sales will likely end the year at $200 billion, a drop of 10 to 15 percent over 2016. Even worse, LIMRA projected variable annuity sales to decline by as much as 20 to 25 percent, largely due to the fiduciary rule. Total annuity sales to end 2017 flat. A 10 to 15 percent drop in variable annuity sales. A 5 to 10 percent increase in fixed annuity sales, with income annuities outpacing fixed-rate deferred contracts and fixed indexed products. More importantly, Montminy believes individual annuity sales are poised to begin a new round of sustained growth. He expects the retiree pool to increase from 49.5 million in 2015 to 66 million in 2025. A significant percentage of those people are likely prospects to buy annuities. This could lead the total value of the lifetime-income market to reach $750 billion. 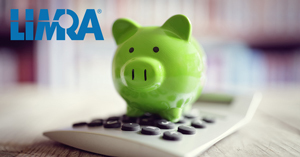 For more information on the sale of annuities, visit LIMRA’s Secure Retirement website.